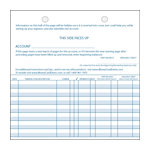 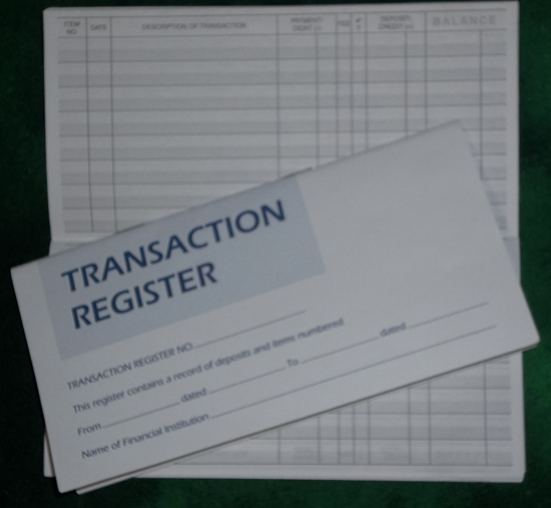 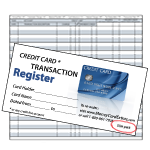 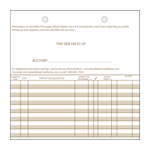 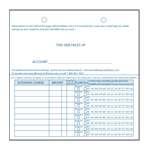 Included with each 100-pack is a sturdy coverstock sheet to provide a firm writing surface when entering transactions in the bottom registers. 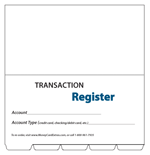 Usage Tip: You can mix several register types in a single checkbook cover depending on your own needs. 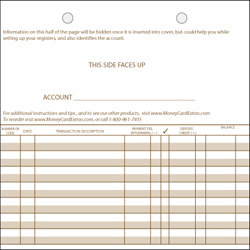 For example, you can include one of our standard credit card registers, a couple of Slim registers, and several looseleaf sheets within one cover. 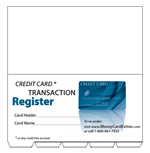 Also, of course, you can keep using the lower section for your checkbook and include in the upper, register, section a regular check register booklet (if you prefer not to use the debit card/checking account looseleaf registers for your checking account) along with the other credit card/debit card registers (currently debit card/checking registers in the Slim size are not available).